Deposit of $150 only due at registraiton - remaining balance due 7 days before camp starts. 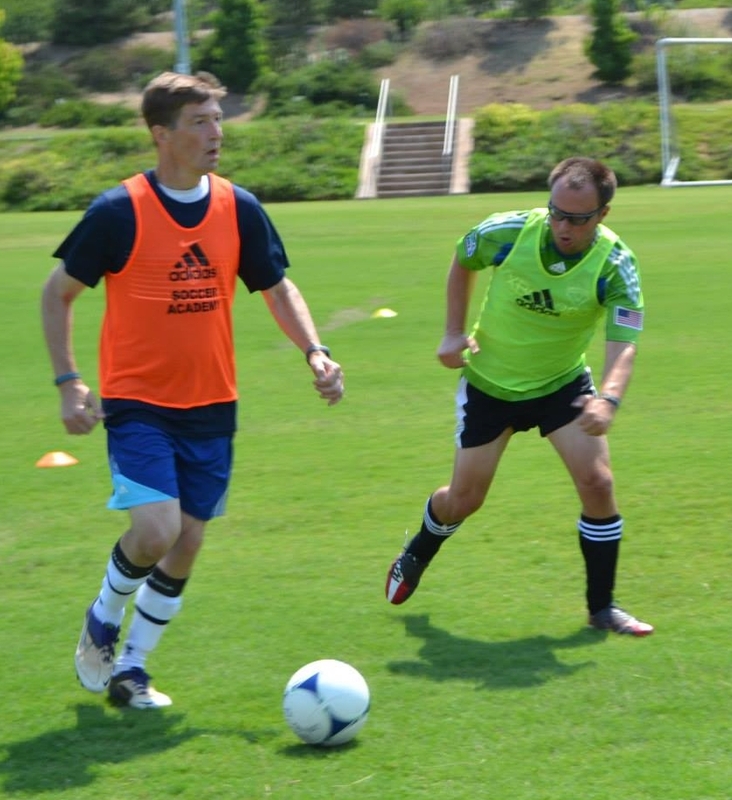 Soccer Academy’s Adult Camps are offered to individual players or groups who are ages 21 years old and up. These popular camps offer adult players the opportunity to develop their technical and tactical performance. Adult players of all levels are welcome at our five day residential camp. 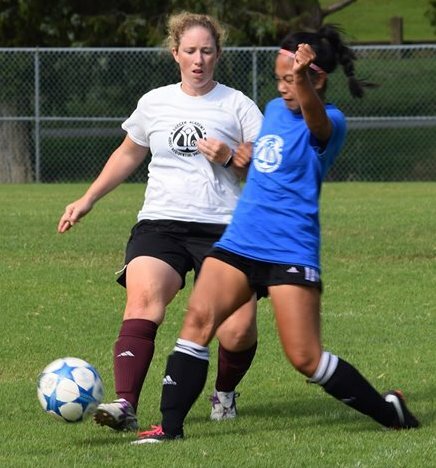 Our program welcomes players from all playing experiences, as skills groups are developed to ensure that all players will learn, improve and enjoy an outstanding week of soccer. Individual, as well as team development is always our main objective for the week. 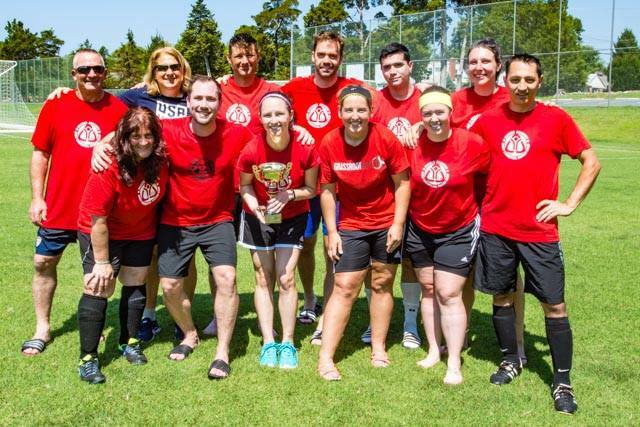 Soccer Academy is unique in having coaches who have experience working with adult players, and who make the camp enjoyable. We truly have a variety of excellent coaches that enjoy spreading their love of the game with fellow players. Paul Ellis: President of Soccer Academy. Linda Hamilton: Former defender for the U.S. Women’s National Team (1987-1995). 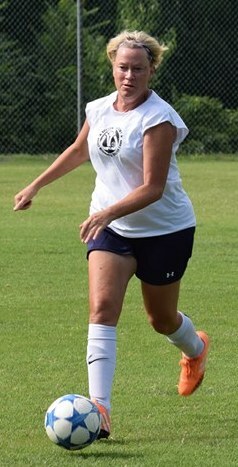 As a collegiate player, Linda played for the University of North Carolina. Clive Walker: Played as a professional with Leicester City & Northhampton Town. Is currently coaching at Faversham Town and holds a UEFA A license. Kenny Dyer: Former Coach of the Montserrat Men’s National Team. Has played professionally in Cyprus for Salamina. Billy Warren: Billy has been involved with Goalkeeping at all levels. He was the Assistant GK coach to Alan Kelly at DC United, and has trained with pro teams in Portugal and England. He currently runs his own Goalkeeping School in Silver Spring, MD. Whether you are looking to improve playing skills or enhance your coaching abilities, our Adult Camps are designed to meet your needs. Technical training focuses on improving individual ball skills through emphasis on proper footwork, creativity with the ball, advanced passing and shooting and 1v1 exercises. Tactical performance is improved through small-sided games and activities, which focus on the principles of attack and defense, positional play and combination plays. Goalkeeping is included at the Residential Camp and at selected sites for Adult Day Camps. Players should aim to arrive at the facility after lunch on the first day and the camp will finish at noon on the last day. We can pick players up from Reagan National Airport or Dulles Airport. For those travelling by Train there is a station in Fredericksburg and we can collect you from there. Please check with the office before booking any travel.